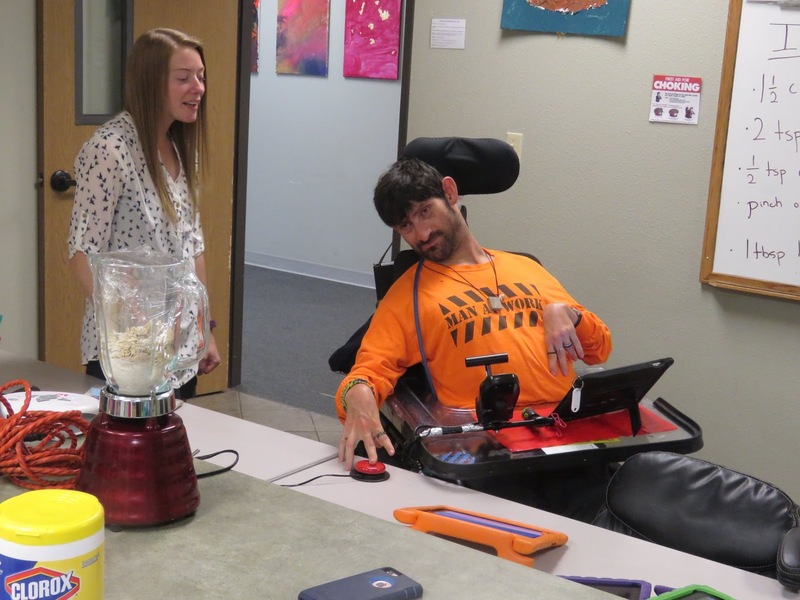 Micah uses assistive technology to operate a blender during cooking class at Imagine! 's CORE/Labor Source day program. He made pancakes!